When it comes to achieving and maintaining a successful online presence, small websites are often overwhelmed by their larger, more popular competitors. It’s an issue that has plagued the e-commerce community since its inception; however, because of newly developed markets such as mobile advertising and social networking, competing against well-known websites just doesn’t look possible. That is, unless you’re Matt Cutts. According to Matt Cutts, Google’s search spam spokesperson, small websites have every opportunity to successfully compete against their mega counterparts. Here are some of the details. Before you begin any sort of campaign that’s designed to compete against a popular website, acknowledge what it is you need to do. Evaluate a few of the larger sites TO see what makes them so popular. Ask questions about what they offer and how existing designs facilitate the things that they offer. Then ask how you can compensate for those things on your own website. According to Matt, smaller websites that became the behemoths we’re familiar with now focused on improving user experience, publishing higher quality content, and producing resources that provided deeper insight. You are strongly encouraged to do the same. If you run a website alone or with a small team, you’ll admittedly face what seems like a mountain of challenges. It’s simply unrealistic for a one-manned website to effectively compete with a site like Wikipedia, Amazon or even Yahoo. That’s why Matt recommends that small websites not only focus on a specific niche, but cover that niche inside and out as well. This gives you a great platform to work with in addition to an opportunity to expand at a later time. Expansions can include things like more tools, media and anything else that accomplishes the goals described above (an improved user experience, higher quality content, and deeper insight). This timely growth increases authority and attracts more visitors. Perhaps the most revealing bit of information from Matt is the revelation that larger sites rank higher than smaller sites. Webmasters have debated this issue for years with some claiming size simply doesn’t matter. According to these “small size works great” theorists, it’s the quality that matters. In his “How can small sites become popular?” video, however, Matt implies that small sites cannot outrank larger sites and need lots of superior content before things are on any kind of an even playing field. Chances are you won’t be able to do everything that’s required on your own, so you’ll need to consider hiring some help. Outside assistance can help you improve your content’s existing quality and create better media. It can additionally help you with SEO and link building so that the right people can find you. Think about that in addition to building a strong social media marketing presence, a lean pay-per-click advertising campaign, and perhaps a complete website redesign if necessary. How well you employ these concepts defines how well you can and will rise above your current position in relation to your competitors. This entry was posted in SEO on April 30, 2014 by seogadmin. Google continues their crackdown on link networks around the world with a recent announcement by Matt Cutts on Twitter that the company has taken down seven such networks in Japan. As is usual for this type of event, this announcement by Cutts did not include any specific details of the networks in Japan that they shut down. “[I am] incredibly proud of [our] Japanese webspam team. Over [the] last few months they’ve taken action on seven link networks! [This makes the] playing field more level,” Google’s leader of Webspam Team, Matt Cutts, tweeted. Link networks are a black hat search engine optimization technique that attempts to boost sites rankings in search results by artificially building links to them. While many other factors are involved in deciding which web pages are displayed in a search result, these link networks sometimes give sites an unfair advantage over their white hat competitors. Among even black hat SEOs, these link networks are seen as less and less trustworthy given Google’s strict enforcement of rules against them in recent years. What was once an almost sure way to get a site ranked higher in search results is now an almost sure way to eventually become the target a Google penalty for one’s web site. These “unnatural or paid links”, as Google calls them, are seen as a way of negatively manipulating search results, and therefore, are associated with lowering the overall user experience on Google search. Japan is not the only country to be hit recently. In the past couple of months, Google has announced that they shut down these types of link networks in Spain, Germany, and Italy. They want to send a message around the world that this tactic is no longer viable and should be avoided by webmasters. Over the past decade, Google has been more and more insistent towards webmasters that their Pagerank algorithm is just a piece of the puzzle and should not be obsessed over by building these spammy link networks. What is the best way to avoid this and still have a top ranked site on Google? The answer is simple: focus on providing quality content for your visitors. Meanwhile, a professional SEO service can provide a webmaster with the latest ideas and innovations in search engine optimization. It is a field that is constantly changing and it is beneficial to focus on your site’s content, while letting the SEO professionals handle the details of getting your site ranked higher in search results. This entry was posted in Google SEO and tagged Google News, Google SEO on April 11, 2014 by seogadmin. It’s easy to become confused at all of the terms floating around the world of Internet marketing. You’ve probably heard of content marketing, social media marketing, inbound marketing and online marketing, to mention some of the most common terms. Are these all the same? If not, what are the distinctions that make them different from one another? The fact is, these terms do overlap quite a bit. To make things more confusing, people often confuse them and use them interchangeably. Yet each of these has its own unique characteristics. To make this more clear, let’s take a brief look at what each of these terms really means. 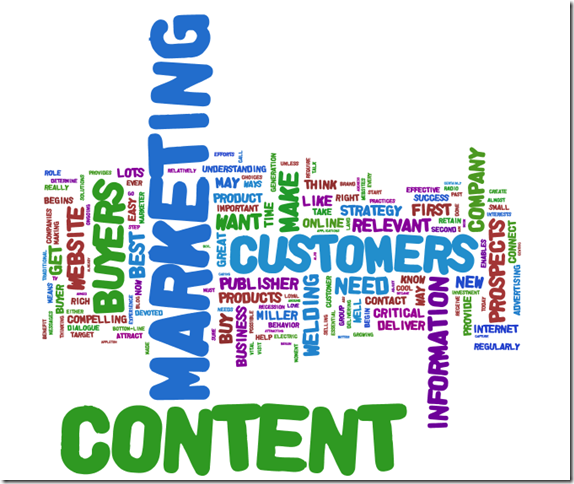 Content marketing refers to any strategy based on creating, publishing or distributing content in order to attract a wider audience. Content can be written material, images, videos, slideshows, social media posts or whatever new platforms become popular in the coming years. Content marketers may use their own content or be content curators -collectors of content from other sources that they re-use, provided they have the proper permission to do so. Social media is a term that’s used widely, and not always in the same way. 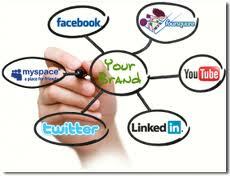 Everyone agrees that Facebook, Twitter, LinkedIn, Pinterest and Google+ are social media sites. However, many other kinds of sites can also fit this description, including social bookmarking sites like Digg and Reddit and even video sharing sites such as YouTube. Even review sites like Yelp and answer sites like Yahoo! Answers have a strong social aspect. The point is, all of these sites and thousands of others can be used to promote a brand, product or company. Social media marketing entails building a following using tactics such as gaining friend, fans or followers on various sites and communicating with them by posting relevant content. 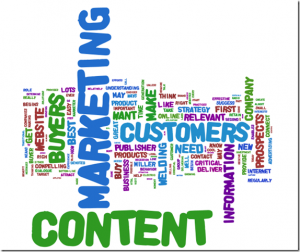 Social media marketing can actually be considered a type of content marketing. These two terms are a little less familiar than the others, at least to those not well versed in the world of internet marketing. 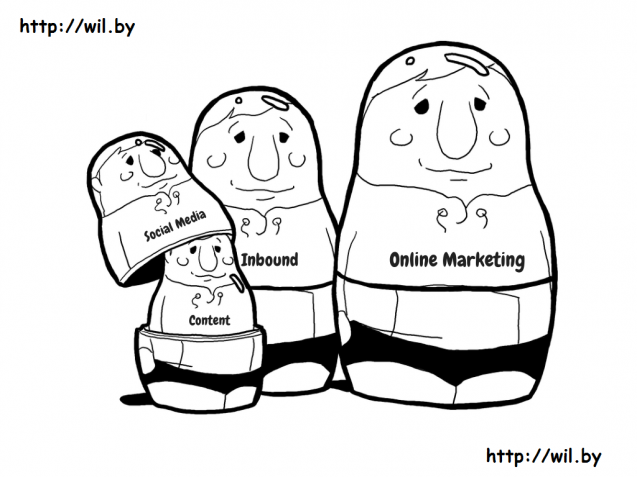 Inbound and outbound marketing are usually contrasted with one another, which is why they are being considered together. Outbound marketing is often portrayed as old style marketing that has its roots in the pre-internet age. This type of marketing is one-way rather than interactive. That is, it is a message sent directly from the advertiser or marketer to the consumer, viewer or reader. Examples of this include TV and radio commercials, newspaper ads, cold calling and direct mail. 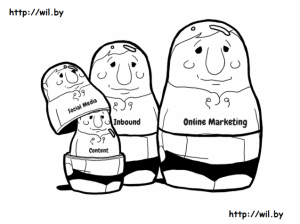 Certain types of Internet marketing are also outbound, such as most ads. Inbound marketing is another term that is very close in meaning to content marketing, but with a slightly different emphasis. 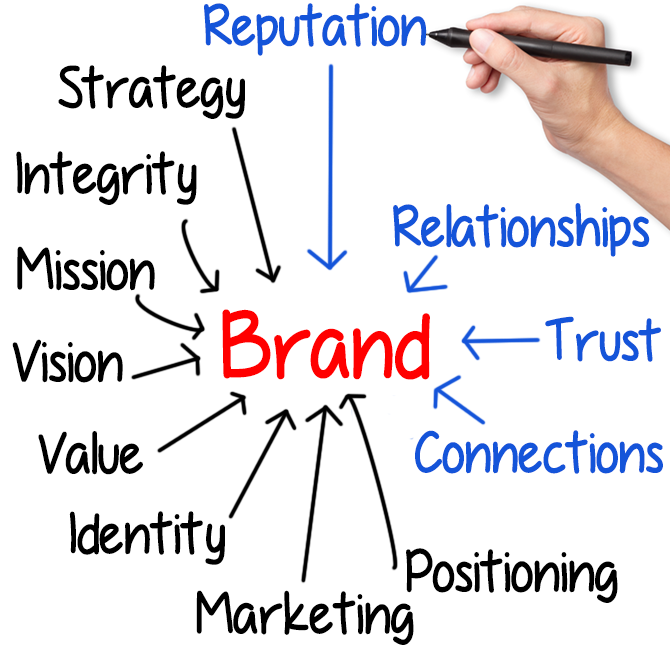 It can mean promoting your product or business using any type of content that is potentially viral and interactive. 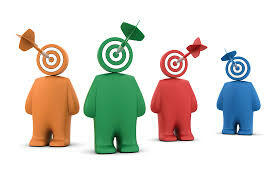 For example, with outbound marketing the viewer or reader cannot share or respond to an ad or commercial. Whereas it is possible to share, re-send, vote on or place a comment on an article, video, social media post or blog post. This is the broadest term of all, as it refers to any type of marketing conducted online. This can mean paid advertising, content marketing, social media marketing or marketing with articles, videos or email. Online marketing is often used interchangeably with internet marketing. There are many terms and definitions in the world of internet marketing. Some of these overlap quite a bit, while others are more broad than others. When hearing such terms, it’s important to realize that not everyone uses them to mean exactly the same things. For example, some people might consider video marketing separate from social media marketing, while others might group them together. As the Internet and marketing platforms continue to evolve, it’s likely that new terms will emerge. For those who want to stay on the cutting edge of these trends, it’s a good idea to keep up with the latest jargon of the industry. This entry was posted in Content Marketing and tagged content marketing, online marketing, social media marketing on March 27, 2014 by seogadmin. Building and managing a successful website does not often happen overnight, and often requires months and even years of hard work and dedication. When you want to ensure your visitors and potential customers want to come back to your site for more in the future, there are a few engaging content tips to keep in mind, regardless of whether you plan to launch a personal blog or a corporate eCommerce store online. Consider giving your entire brand a makeover when you want to get more users engaged in the type of content you share. The more modern and visually-appealing your logo and brand is altogether, the easier it is to captivate an audience of consumers who may genuinely be interested in your services or merchandise. 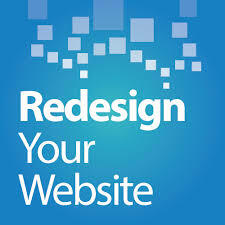 It is also important to update and redesign any website you are promoting or working on. Having an updated website is a way for you to showcase your products, services, skills and content all in one central location. When you have an updated website, it is much easier to keep your users engaged and interested in reading more of the content you have published and shared to the site itself. If you want to stay relevant with your site, researching new trending keywords and stories that are within your industry or field is essential. Researching content frequently is a way for you to get a better idea on the type of information your users are searching for upon visiting your site or making a purchase. Understanding upcoming trends, current trends as well as key factors of your industry is a great way for you to generate new ideas and to find inspiration when you want to create and share new content for potential visitors and customers of yours. You can track keywords using free tools and mobile applications to stay on track with the latest trends in all industries, whether you are involved in blogging or providing clothing and local services. When your main focus and goal includes keeping your visitors engaged and interested in the content you publish, avoid rehashing old news or copying content from other websites to share. When you share old news, you are less likely to keep your visitors and potential customers coming back for more in the future. Engaging your users requires a bit of work on your behalf, especially if you truly want to get them actively involved with the content or information you post to your site, blog or even to various social media accounts you run. Ask your visitors questions or to share their comments regarding your latest updates, product releases or even an article you have recently written. The more frequently you converse with those who use your site regularly, the easier it becomes to keep them interested in what you have to say each time you update. Utilizing social media regularly is one of the most effective methods of sharing engaging content and keeping your visitors and users interested in what you have to say and offer. The more involved you become with your brand’s Twitter, Facebook, Pinterest and Tumblr accounts, the easier it is to build a captivated and engaged audience across different platforms. Building a solid following of thousands of users has never been easier than by implementing multiple social media networks simultaneously when sharing engaging content and updates. The more you understand how to engage your visitors, customers and potential clients online, the easier it becomes to communicate openly and effectively any time you are sharing new content or want to promote products and services you have to offer. Knowing how to provide engaging content on a consistent basis not only helps you to build visitor loyalty online, but it also helps you to outshine other potential competing sites. This entry was posted in Content Marketing and tagged Redesign Your Website, Social Media on March 20, 2014 by seogadmin.